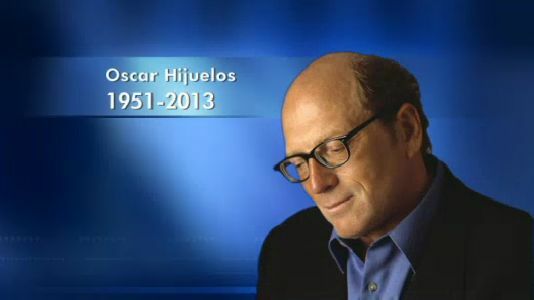 Oscar Hijuelos, who was awarded the Pulitzer Prize in 1990 for his novel The Mambo Kings Play Songs of Love , died yesterday of a heart attack while playing tennis, according to his agent, Jennifer Lyons. Hijuleos was 62. Hijuelos was the first Latino writer to be awarded the coveted prize. The novel traces the journey of two Cuban brothers who leave Havana for a life in New York to pursue a career in music. In 1992, the novel was adapted into a film starring Armand Assante and Antonio Banderas. sometimes felt like a freak, simply because the level of my success and traveling around the world as — quote — “a Latino writer” as much as anything, was sort of wonderful and also very strange for me at the same time, because, indeed, I’m — I came up as but one version of many potential versions of Latinos that there could be. And I have never — as I say in the memoir, I have never intended to represent myself as a spokesman for anybody but myself. And yet I would be in a roundtable in Sweden, in Stockholm, Sweden, at a live television show, and the host would come on and look around trying to figure out who the Latino guy was in the group. That kind of thing was both interesting and alarming at the same time. Here is the complete interview. Rest in Peace, Mr. Hijuelos.